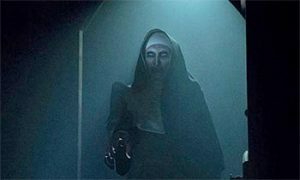 ‘The Nun’ Movie Review – Spotlight Report "The Best Entertainment Website in Oz"
Thanks to Roadshow Films we got to see The Nun before its Australian cinematic release. This is our review of the movie, but as usual, no matter what we say, we still recommend you to go and see it at your local cinema because there is no better critic than yourself! 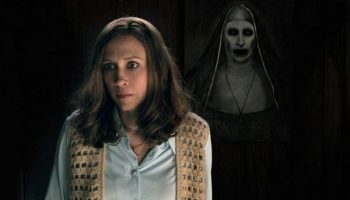 The Nun is a prequel to the very popular Conjuring movies. It lets you know that with a breakneck, incomprehensible twenty second recap sequence that explained nothing to me (who had seen neither Conjuring film) but was immediately annoying due to the shrillness of its sound design. This was a pattern it would repeat throughout its runtime, to humorous effect. For a horror movie, this is a problem. 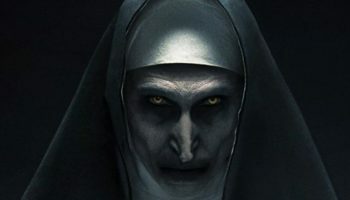 The Nun, however, has many, many more problems, most of which it repeats over and over again. 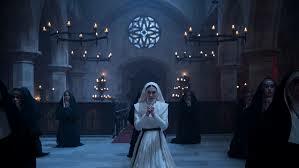 It’s fair to say The Nun is a movie with quite a lot bad habits. The film starts in an ancient abbey (in 1952) in Romania. You can tell they gave the location some thought because that’s where Transylvania, home of Dracula, is. And Dracula’s scary, so you know you should be scared. Some nuns encounter a dark lighting scheme and some really loud sound effects, and one of them commits suicide. When news of this suicide reaches the Vatican, they take some time from their pederasty schedule and send a priest to investigate. Father John Burke, played by Demián Bichir, is an Irishman with an inexplicable accent (it’s certainly not Irish) who travels to England to pick up plucky young would-be nun Sister Irene (Taissa Farmiga) whose accent is equally inexplicable. Together they journey to Romania to meet the French-Canadian man (Jonas Bloquet), plausibly named “Frenchie” by the locals, who discovered the dead nun. Early on, the movie cleverly foreshadows what’s coming up by a farmyard tracking shot pointedly centered on a massive pile of horseshit. From the moment they arrive they encounter sinister props and music, and we are treated to continuous exposition so banal and over-obvious that it is immediately comical. Whenever night falls, nuns appear and disappear alarmingly to our protagonists, usually behind them while they face the camera. This happens often enough that whenever a nun appears onscreen, you immediately wait for it to disappear. The other trick this movie pulls is to blow out the candles our protagonists are holding. Without exaggerating, every candle or torch held by a character in this film will be blown out by a a gust of evil wind within a minute or two. They uncover a demonic plot involving Nazi bombs falling on a rural Romanian abbey with a demonic portal, and then there’s a monster fight and then the movie ends. 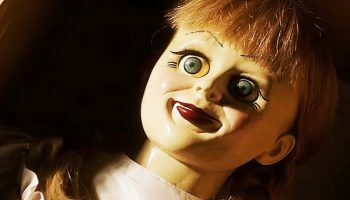 This movie generates tension, but not by plot nor directorial art, but because the cheap jump scares are so loud, frequent and obviously telegraphed that waiting for them actually wears on the nerves. Everything in it is a cliche, and then it repeats its cliches over and over again. I was reminded less of its religious-themed horror forebears in films like The Exorcist, and more of the cartoonish, juvenile filmographies of Steven Sommers and McG. I kept wondering if its infantile dialogue and total reliance on plainly-stated explanations were a concession aimed at an export market unfamiliar with movies like this, but then remembered that you can’t show ghost movies in China. This film is a classic case of so-bad-it’s-funny with many “scary” scenes eliciting deep guffaws in the audience, but due to the abrasive, shrieking sound design it’s too unpleasant to be so-bad-it’s-good. If only someone would chase it back into the infernal portal it emerged from, and concrete over that portal. I hope everyone involved is deeply ashamed of their incredibly unoriginal sin. The same experience can be more cheaply by draping a mousetrap in black cloth and jamming your fingers into it.